1. Don’t forget about the decorations! The time in-between Halloween and Christmas can often be looked over when it comes to making your home festive but there is no excuse not stay in the spirit of fall and thankfulness! There are easy ways to convert your decorations from October into fabulous tabletop and home décor. If you want to go for more of a “glam” look this holiday, try spray-painting your pumpkins gold to decorate your entrance or buy a few mini pumpkins to paint as well and use them as a place card on the dinner table. 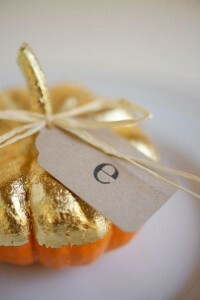 Your guests will love the modern-take on a typical fall staple and the personalization of the place card! 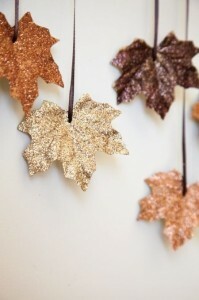 You could also jazz up your foyer with these DIY hanging glitter leaves (right) or a display of your children’s turkey handprints and “I’m thankful for…” crafts! 2. Many families jump right into the big feast and it’s over and done with before you know it. A great idea to extend family time is to start with a few homemade appetizers for people to nibble on while everyone is catching up with one another. Pinterest is full of recipes for festive dips and hands-on ideas for cooking with your kids. 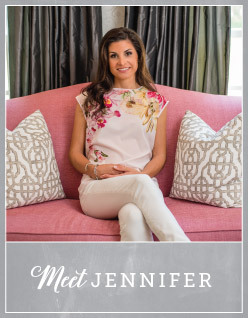 Making something simple together would be a great way to start your time with your family and friends! 4. How about that pre or post dinner cocktail? There are endless options for fall signature drinks! 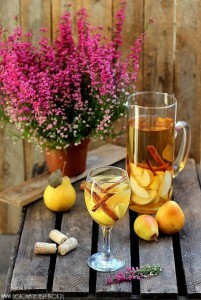 This autumn sangria with pears and cinnamon sticks looks and sounds delicious! 5. Last but certainly not least – dessert! Put a spin on the traditional pie and make a variety of mini pies so there is a flavor to please everyone. You can add a few more favorites like apple popovers and pumpkin bars to create a dessert bar for all of your guests to enjoy. 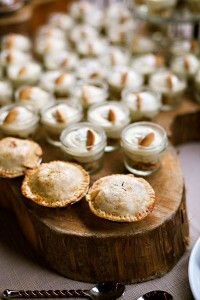 These mini pies and banana pudding shots from Southern Weddings Magazine look delicious!